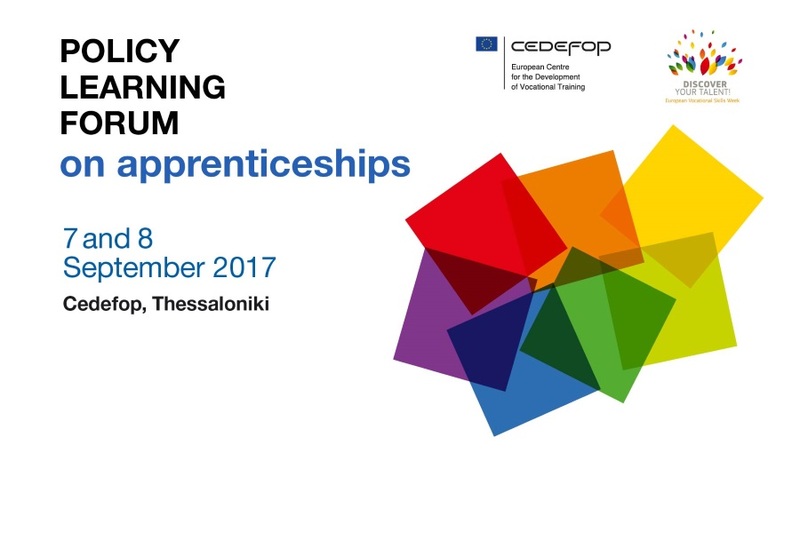 The Cyprus Employers and Industrialists Federation (OEB) participated at the “Policy Learning Forum on Apprenticeships” which took place on 7 and 8 September, 2017 at the European Centre for the Development of Vocational Training (CEDEFOP) at Thessaloniki. The Forum is part of the European vocational skills week 2017, with hundreds of activities in the European Member States. The forum was attended by stakeholders and national experts directly involved in Cedefop’s thematic country reviews (TCRs) on apprenticeships. In 2014 Cedefop launched the TCRs to support cooperation among Member States at European level and to interact with individual countries wishing to develop quality apprenticeships in line with EU policies. The TCR in Cyprus began in 2017 and it is expected to be completed by 2019. OEB’s participation to the Forum was fruitful in absorbing information, knowledge and know-how from other European countries which will be significantly utilized in the review of Cyprus’ national apprenticeship system. In doing so, OEB will contribute at its utmost in shaping an Apprenticeship system jointly linked with the labour market and the employers’ needed skills. At the forum, OEB was represented by Mrs Maria Stylianou Theodorou, Head of the Research and European Programs Service while on behalf of Cyprus the forum was also attended, amongst others, by Mr. Elias Margadjis Director of Secondary Technical and Vocational Education from the Ministry of Education and Culture.